Urban Skincarerx Retexturing Pads Review: Is it Really Effective? Urban skincare Rx Clear & Smooth Retexturing Pads, US $38 for 60 pads, is a multi-tasking product that helps purify your skin, relieve it from infection-causing bacteria, and restore your blemish-free skin. Urban Skin Rx is a skin care brand that was created based on the client service experiences of the Urban Skin Solutions Med Spa, Laser and Weight Loss Center in Charlotte, North Carolina. Its founder, Rachel Roff, suffered from skin issues and the accompanying loss of self-confidence as a child which became her inspiration for wanting to help others resolve their own skin issues. Now a licensed medical aesthetician, Roff and her team specializes in treating and preventing various skin concerns, including uneven skin tones, among women and men of color. This product uses a combination of natural acids to help clear and purify your skin of a wide variety of impurities that includes excess oils, dirt and grime masking your skin surface and clogging your pores. 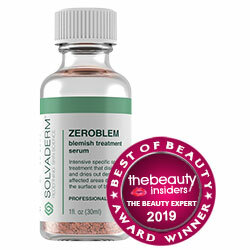 By so doing, it deprives acne-causing bacteria of an environment favorable to their growth and proliferation. By combining these with plant extracts, your skin’s natural healing and rejuvenating process is also activated to support skin renewal. Most of the satisfied users have indicated how they find this product to be worth every dollar. The labels fail to indicate the concentrations of glycolic and lactic acids included in the formula. Urban skincare Rx Clear & Smooth Retexturing Pads reviews are severely limited which do not provide any good experiential account of this product. 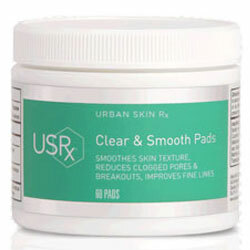 Urban skincare Rx Clear & Smooth Retexturing Pads must only be used once to twice daily on freshly cleansed skin. Swipe and leave on. Urban skincare Rx Clear & Smooth Retexturing Pads contains a fair combination of natural acids which, together, are well-known to promote skin that is free from acne-causing bacteria and blemishes. Unfortunately, it also contains several ingredients that are likely to be not suitable for acne-prone and sensitive skin types.